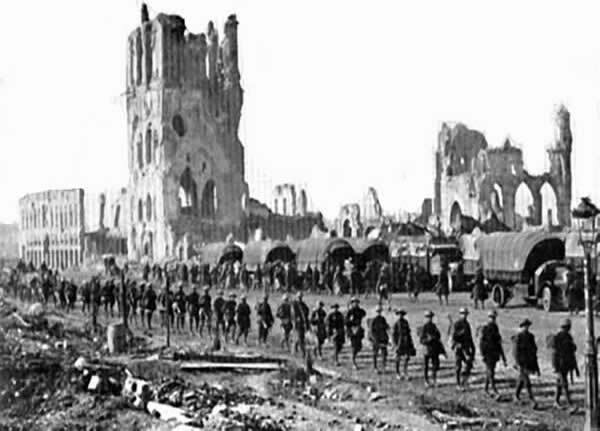 With a full time Vicar involved in all aspects of village life, Church, School and Parish were united in their support of the war efforts and maintenance of morale. 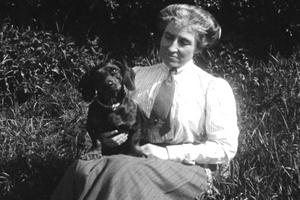 Lady Mount Stephen of Brocket Hall and Mrs & Miss Holdsworth of Lemsford House were benefactors to all, but especially the children. 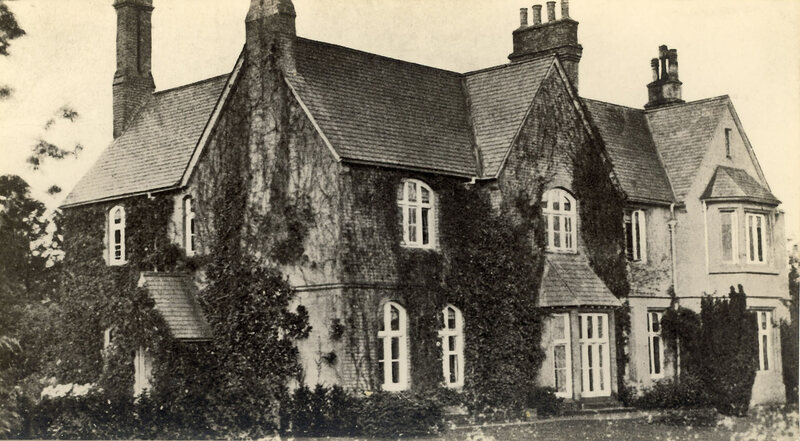 As war progressed Sunday School and other treats were stopped and the money given to help provide parcels for ‘our boys on the front’. The annual choir outing was also discontinued. 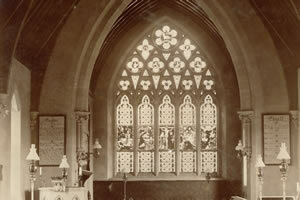 The Vicar was sometimes seconded, the sexton and organist joined up, some service times were changed and the wounding and death of so many of Lemsford’s young men affected everyone. The Revd. 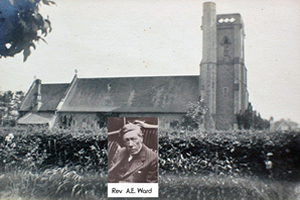 A E Ward was Vicar from 1905 to 1920, apart from Jan 1917 to April 1918 when he was given leave of absence to enable him to be domestic chaplain to the new Bishop of Exeter, Lord William Cecil, formerly Rector of Hatfield. (The Revd. H K Moore took over the running of Lemsford Parish with much support from his wife). 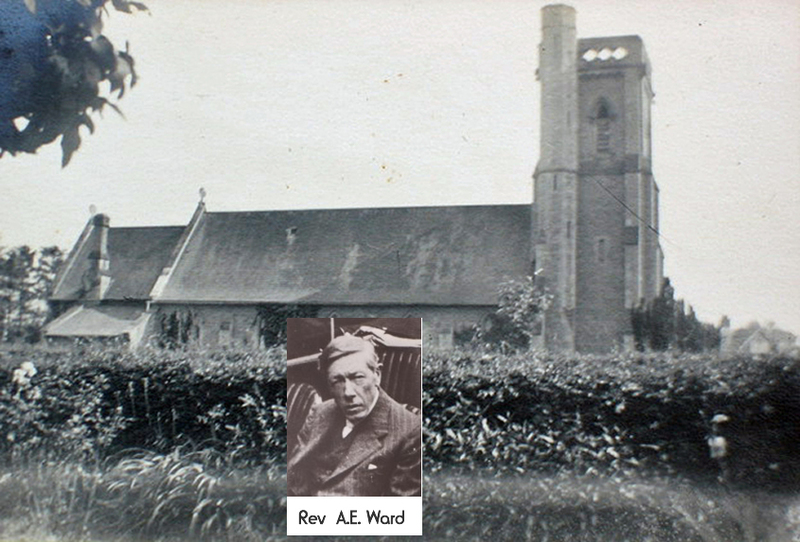 As many clergy as possible were involved in some form of National Service and in 1918 the Revd. Ward was appointed to the Admiralty War Staff. He was in London all week except Saturday afternoons. ‘He very much hopes to be able to take a half day now and again for visiting. The Services will be carried on as usual, except that it may be found necessary to have only one sermon on a Sunday. The only alteration will be to hold the weekly Intercession Service at 7.15 on Wednesdays instead of at 7 o'clock. The Hatfield Clergy will be responsible for occasional services at Lemsford during the week. W J Horn of Handside was a church warden for over 50 years and his son W C Horn of Brickwall for 40 years. 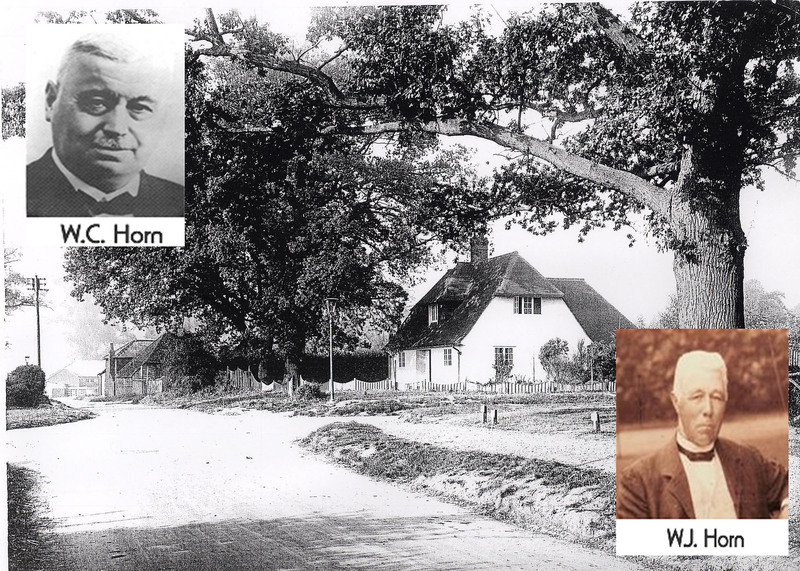 During the 1920s W C Horn was also the first Chairman of the newly formed WGC urban district council). 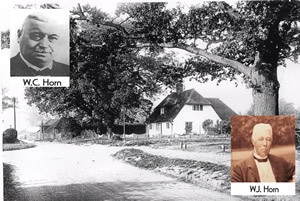 William James Horn (L) was Vicar’s Warden and his son William Cooper Horn (R) People’s Warden throughout the war as they both farmed in the parish. The Church looked more than usually beautiful this Easter thanks to the efforts of those who kindly helped in the work of decoration. 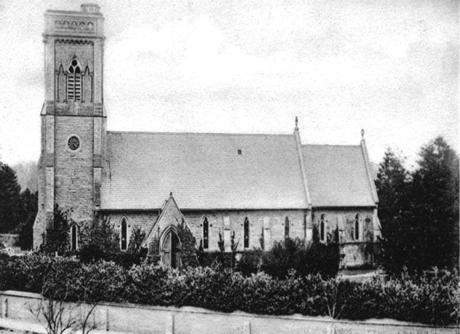 Five services were held on Easter day, and the number of communicants was over a hundred. 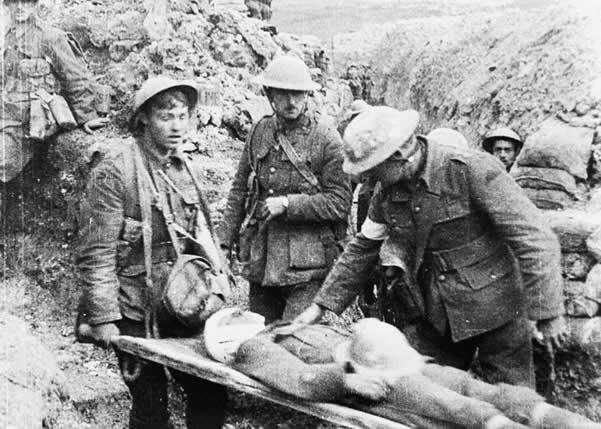 Never scarcely have Good Friday and Easter Day come home to our hearts with such force as this year, with their comforting message, “That God can and did die, and that man can and will live for ever”. The Zeppelin – which passed over our parish the other week has made certain changes to the hours of service advisable….the weekly Intercession Service will be on Thursdays at 4. It is perhaps not altogether a bad thing that we should feel a little - a very little - of the fear and danger which is weighing so heavily on thousands of our fellow creatures. 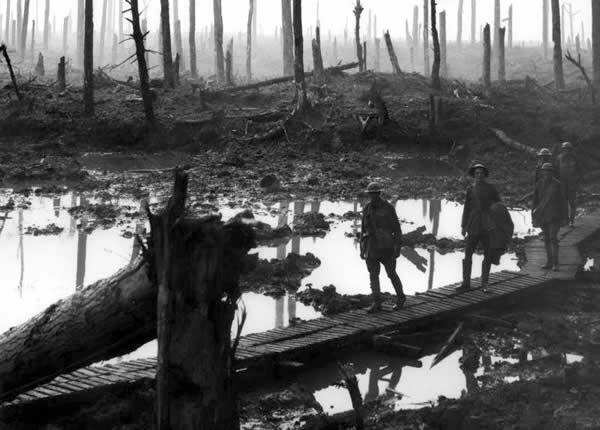 “The Terror which flieth by night” ought to make our evening prayers, both public and private, more real and necessary to us, and to bring home our need of casting ourselves on God's protection. Owing to the Lighting Restrictions it will not be possible to hold our Week-night Services in Lent. We greatly miss our sexton, Mr. John Sear, who has joined up. The services hardly seem to be the same without him. We take this opportunity in thanking those who have come forward to do his work – Mrs John Sear, Mr William Horn jun. 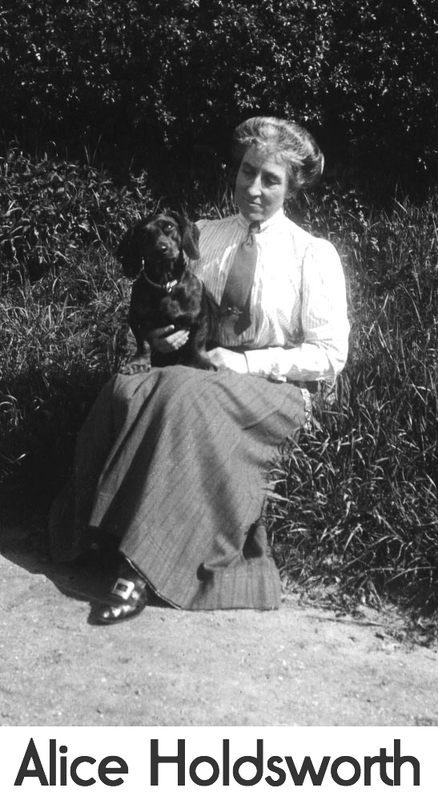 (a farmer), Mrs Cotterell, and Mrs Hale.’ - the first time any ladies have undertaken this role at Lemsford. 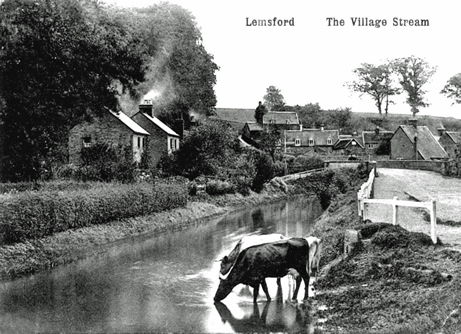 ‘I feel that I should like to write a few words to the people of Lemsford, more especially as I was unable to say good-bye to you all before I went away. The delivery of the Message of the National Mission was not over till the end of November, and that left little time for farewells. The bad weather, illness, and the temporary lack of a bicycle complicated matters still further. I hear from Lemsford pretty often….. The churches are well attended here as far as I have seen. I have been to two parish Churches in the town as a member of the congregation, and found both full from end to end. The other Sunday I was at a church in Plymouth, which can seat over two thousand people. Every seat was taken, every available chair was taken too, and there were some who stood in the aisle through the whole service. It was, of course, a special occasion, but I am told this Church is nearly as full every Sunday evening. All this is vastly encouraging to those who like to see due honour paid to the Lord's Day and the Lord's House’. 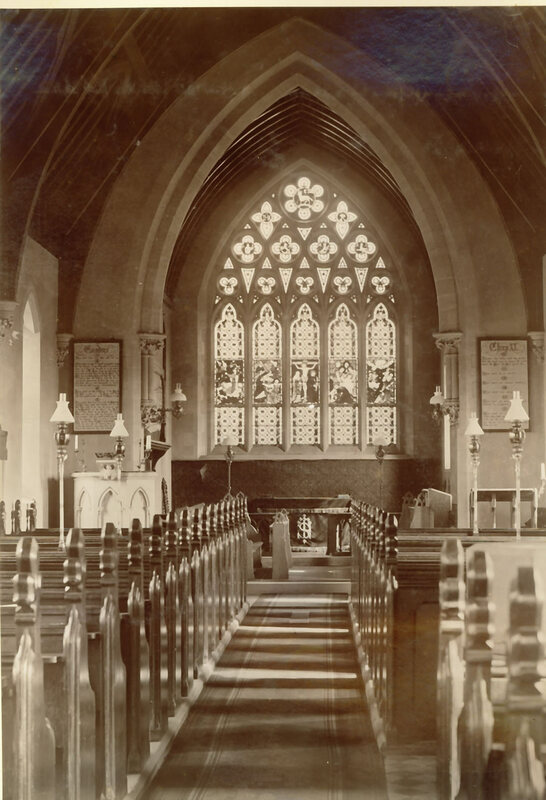 Owing to the difficulty of lighting and heating the Church in war time, there will be no special week-day lectures during Lent. There will, however, be a series of special sermons on Sundays at Evensong.